The Beijing Auto Show is the next major platform for car makers to showcase their new products. China is one of the biggest markets for car makers. It is not a surprise that Volkswagen has decided to unveil their new hybrid SUV ahead of this event. The Beijing Auto Show starts on April 25 and Volkswagen has revealed that more details about this vehicle will be available as the show approaches. The company has come out with a teaser of the conceptual design. 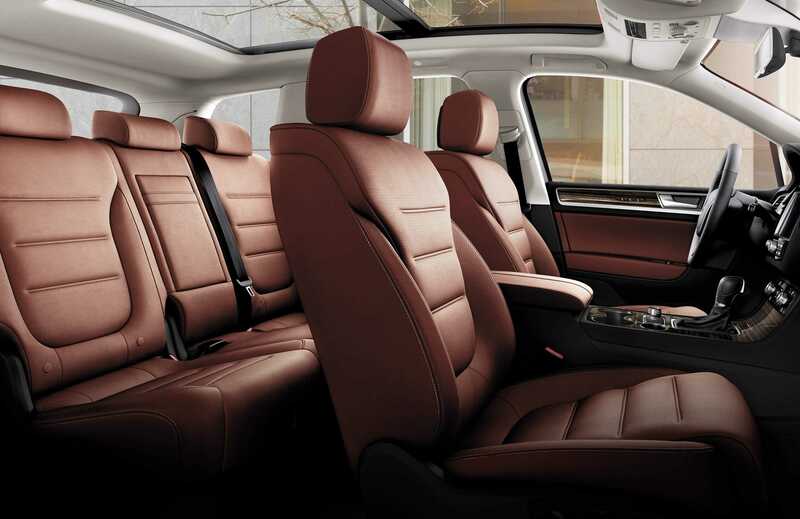 It is expected that this hybrid SUV will encompass everything, from a lounge style interior, to an interactive display. Amidst the growing interest in driverless cars, many car makers – especially the German ones like BMW and Mercedes – have been at the forefront of equipping modern cars with the ability to drive itself, albeit for a short span of time. This new Volkswagen is expected to go big on this front. Further, the German company will be offering a more passenger centric approach in this luxury SUV. Traditionally, German cars have been driver centric with most of the dashboard aimed at making life comfortable for the person behind the wheel. Even though the Volkswagen hybrid SUV may seem to go away from this ideology, it will still have enough reasons to entertain the driver. The concept SUV is expected to come in with a hybrid powertrain with 376 hp at the touch of the right foot. The electric only range of the SUV is around 31 miles, which may not be great. However, the vehicle is expected to excel when it comes to overall consumption. It is predicted that the combined city and highway cycle is expected to fetch around 78 mpg, which is impressive for a vehicle classified as a SUV. The wave of instant torque from the electric motor will be able to propel the vehicle from 0 to 60mph in just six seconds. Top speed, however, is expected to be limited to around 140 mph. In the past, Volkswagen has come out with several such concepts, but they have not gone into production. Some of their features have been seen in modern cars and this would once again be the case with this hybrid SUV. The Touareg, which is the company’s luxury crossover SUV, is the model most expected to benefit from the features on this new concept SUV. Volkswagen is still trying to come to grips with falling sales after the ‘dieselgate’ scandal.